Here’s an avatar for a gal on one of the websites I frequent. I think she is another Palin fan? 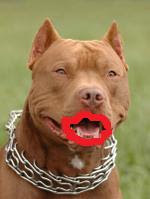 The difference between a hockey mom and a pitbull is lipstick. This entry was posted in Cultural insanity, Friends, Fun. Bookmark the permalink.